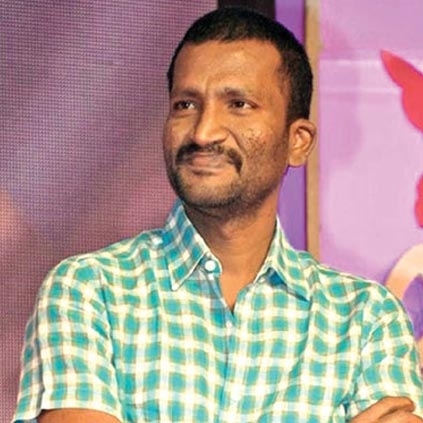 SUSEENTHIRAN'S NEXT FILM TITLE IS HERE! As reported earlier, Suseenthiran has already completed 60 % shooting of his next film after Nenjil Thunivirundhaal (yet to be released), which comprises of fresh faces in its cast. Soori plays one important role in the film. Now, the title of this youthful venture has been announced and it is Angelina. 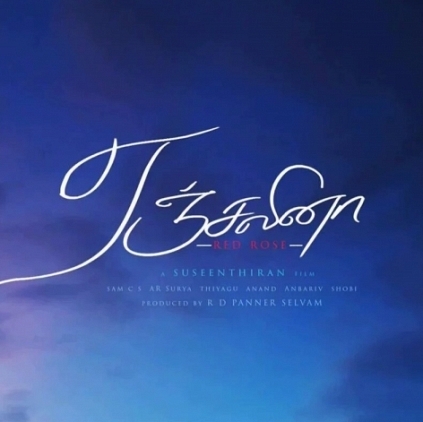 A breezy first look poster of the film was released by Suseenthiran's parents this morning, featuring the names of the technical crew. After collaborating with D.Imman for 5 films continuously, Suseenthiran has gone for a different music director this time. Sam.C.S would be scoring the music for this film, with A.R.Surya and Thiyagu taking care of cinematography and editing departments respectively. SUSEENTHIRAN MAKES AN INTERESTING ANNOUNCEMENT ABOUT HIS NEXT! Director Suseenthiran had earlier announced that his movie Nenjil Thunivirundhal would be releasing for Diwali 2017 alongside Vijay's Mersal. Now he makes another exciting announcement saying that he has completed 60% shoot of his next film after Nenjil Thunivirundhal. Suseenthiran also adds that the title of this surprise project will be revealed at 10 AM tomorrow, 8th of September by his father and mother. People looking for online information on Angelina, Sam C.S, Soori, Suseenthiran will find this news story useful.